Ian was a bit bulky growing up, but he hit his limit in high school. 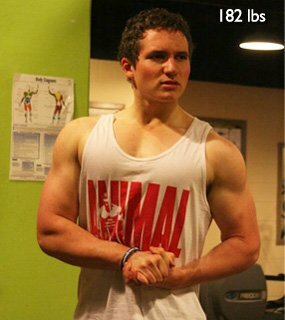 Through consistency and proper training, Ian shed the bulk and became a beast. I was always "the fat kid" growing up. My love affair with food helped pile on pound after pound every year. I remember not making weight limits in grammar school football and having to play with the older kids because I was too big to play with kids my age. Things got worse in high school, where my access to food grew almost as fast as my waistline. 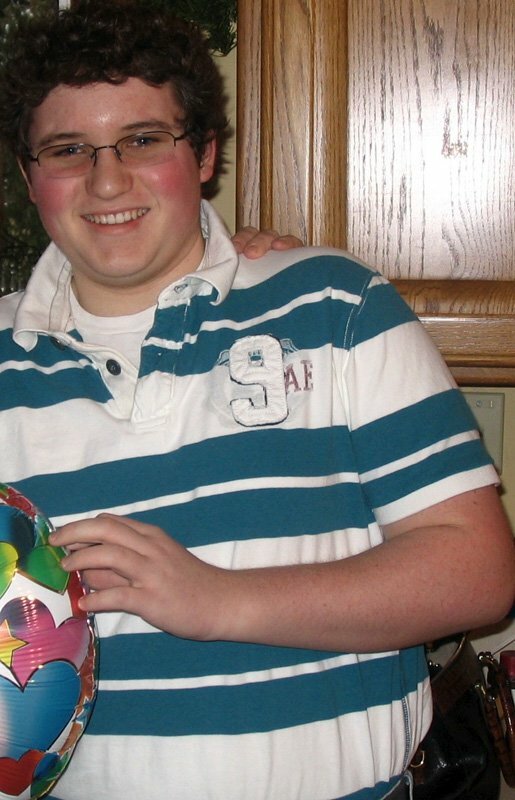 Coming into freshmen year, I weighed 185 pounds. 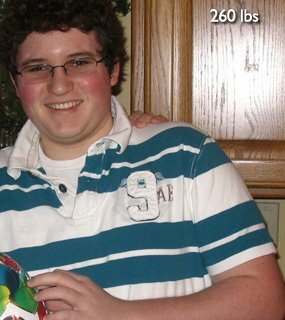 By my sophomore year, I weighed 260 pounds and was over 30 percent body fat. Doctors told me I was digging myself into an early grave without much hope of climbing out. Health problems with my major internal organs coupled my obesity, such as an overworked heart, fatty liver and stressed kidneys. By the time my 16th birthday rolled around, I was in my worst shape ever. I was extremely unhappy and in constant pain. It took a photograph of my mother and myself at my birthday party to really put things into perspective. I saw how awful I looked next to my mom (who looked great - love you mom!) and resolved to change my life. I started the next morning in my basement with an old Weider weight set, a treadmill and Arnold Schwarzenegger's Encyclopedia of Bodybuilding. Consistency and dedication to my cause kept me in line. I trained hard, dieted harder and never lost sight of my goals. I wasn't just losing a few pounds - I was saving my life. I did not start recording my weight or my workouts until I had lost around 20 pounds. Once I saw my progress, I thought to myself, 'I really need to keep track of this stuff if I'm going to keep making changes.' I began a workout journal that I still have to this day and wrote down everything in it. I also resisted peer pressure which, looking back on it, was present every day during my transformation. I never ate at restaurants, didn't stay out too late and made sure to always get my meals in. People would discourage me and tell me I wasn't "being fun anymore." It was tough to hear, but I told myself what I was doing was necessary and something I wanted more than anything. I'd rather skip out on some fun than dig that grave a little deeper. I stayed the course and the pounds kept coming off. I completed that journey with an overall title and a top 2 finish at both of my shows. I never could have imagined myself where I am today, but life really is funny. You never know what road you will end up following, but in the end, it's usually the one best for you. Ian wouldn't settle for "average." He kept training and became "awe-inspiring" instead. I did not get too fancy with supplements for my contest prep. I stuck with the basics and I feel like that helped me in the long run. I knew all of my bases were covered so I could focus 100% on my training and other variables that helped make me successful. The training, diet and supplementation outline above helped carry me to an overall victory in the teenage men class at the NPC Midwest Ironman Bodybuilding, Figure and Bikini Championships as well as a second place finish in the teenage men class at the NPC Natural Mid-State Classic Figure & Novice. Both of these shows were amazing experiences that I will never forget. Competing is both a physical and a spiritual victory and is a testament to how far I have come since I began my bodybuilding journey. The diet outlined below is what I followed at the 16 week out mark. My protein, carbohydrates and fats are higher at this point because I am training hard and my body can utilize the nutrients. As the weeks went by, I slowly started cutting back on portions (mostly carbs) in order to tighten up and continue losing body fat. The more experienced I become, the more I find myself changing my routine. However, I usually adhere to a four or five day split with regards to training. 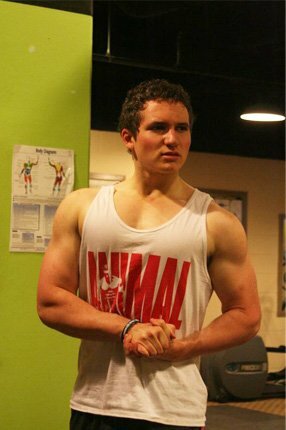 I have a background in power lifting and thus like to tailor my power training to help build a physique suited for a bodybuilding stage. I have successfully modified programs like Jim Wendler's 5/3/1 in order to create a hybrid power-bodybuilding routine to give me the best of both worlds. This program remains one of my favorites to use in the off-season to put on mass. Recently, however, I have had success with following tried-and-true training principles. In order to prepare for my first and second contests, I went back to basics and followed a 5-day split. Following the shows and a week off from the gym, I plan on running Chad Waterbury's "Waterbury Method," a 3-day full-body split, to add quality size and shape for the next time I hit the stage. I also plan on utilizing Hany Rambod's FST-7 training system, which helped me make improvements in my upper chest and lats for my shows. Outlined below is the split I followed leading up to my first competitive win and the top 2 placing the following weekend. On Saturday, I would take a complete day of rest and do High Intensity Interval Training on Sunday, usually sprints on a quarter mile track. As you can see, I am a fan of moderate to high volume workouts with added intensity boosters. I used Hany Rambod's FST-7 protocol for periods throughout my prep that I felt helped me improve on my weak points. Like I said above, I plan on making use of this technique in my off-season when my calories are higher in order to spur new growth. Never, and I mean never, believe you cannot do something. People need to realize that willpower and determination are powerful tools in shaping themselves both physically and mentally. Sure, weights help you build muscle and treadmills help you burn fat, but without the drive to give 100% every day, you're just spinning your wheels. Tap into your willpower, find a reason to push yourself and focus on those every single day. Before you know it, you might not recognize the person in the mirror staring back at you. I also want to add the importance of community. Surrounding yourself with friends, family and people who encourage you to be the best you can be will help you reach your goals faster than ever. I definitely encourage everyone to get a BodySpace or get a group of friends together and hit the gym each week. The strength of one is drawn from the strength of many. Remember that building the body of your dreams is a marathon - not a sprint. Don't become discouraged because results don't come immediately. Stick to the goals you have outlined and give it your all every day. You won't be disappointed. Finally, I would like to thank my family and friends for all of the love and support throughout my contest prep. Bodybuilding shows are a test of a physical and mental resolve, but with the encouragement I received from both parties I was able to see it through and come out a winner. My family and friends inspire me to do my best every single day and continue to better myself so that I may act as a role model, a source of inspiration and a better brother, son and friend. I would also like to thank Chuck Sanow, IFBB pro and owner of USA Gym, Inc. in Bridgeview, Illinois, for helping coach me through my contest prep. I began training at USA Gym over 3 years ago and it has become like a second home to me. Chuck's watchful eye helped me make the needed adjustments to get better every week and come in looking my best. His posing advice allowed me to present all of the hard work and time I put into my physique to the fullest. It's not every day that someone can work side by side with one of the best in the business; I am truly honored. To Chuck, the staff and members of USA Gym who supported me, I thank you all from the bottom of my heart. 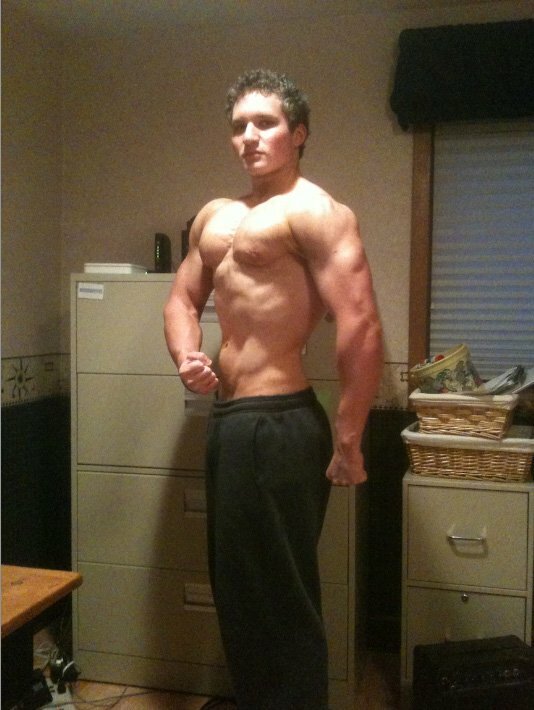 Bodybuilding.com has also been a huge part in my success. If I didn't happen to find this site almost 3 years ago, I don't know where I would be today. The great articles, inspiring stories, knowledgeable and friendly writers and outstanding service helped me achieve a life-long goal. I am honored to be a part of the best bodybuilding resource in the world today. I know that Bodybuilding.com and its staff, athletes and associates will continue to be important parts of my life and catalysts for my future progress. Special shout outs go to Roger Lockridge and Chad Shaw for their advice, support and tips along the way. What an amazing team. 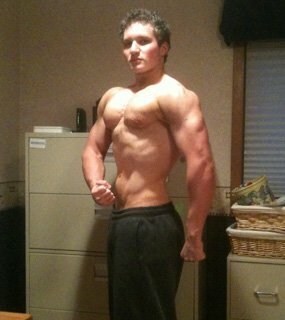 Layne Norton and his Peak Week feature on Bodybuilding.com was also a tremendous source of information and help to me. Dr. Norton, thank you for your time and continued efforts towards bettering the bodybuilding world. Last, but certainly not least, I would like to thank Tim Gritzman, competitive bodybuilder and close friend, for his advice and encouragement throughout my prep. Tim's knowledge and experience helped me make the most of what I had and perfect my physique for the stage. What started as a simple inquiry became a great friendship that continues to this day. Thank you, Tim, for sticking with me through the thick and thin. You're a great teacher and an even better friend. To anyone and everyone who ever believed in me, I thank you. My strength both inside and out comes from your love, care and support. I intend to make myself the best I can be with you all by my side. It's been a long road, but it ended in my dream of winning a bodybuilding show coming true. I cannot be more blessed. Let's keep living the dream!